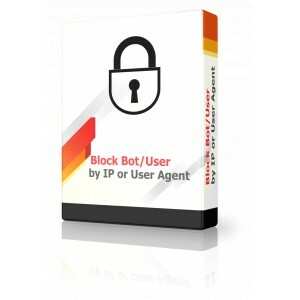 Blocking login to the site for users or robots by IP and user-agent. Stop bot. 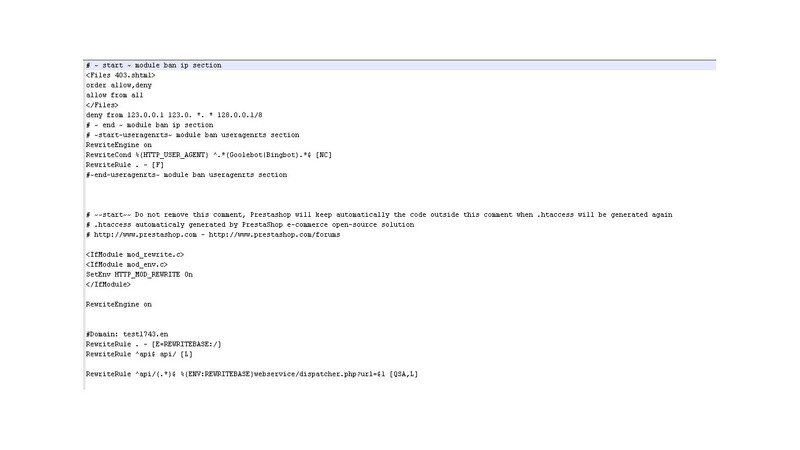 Blocking access to the site for users or robots by IP and User-agent. 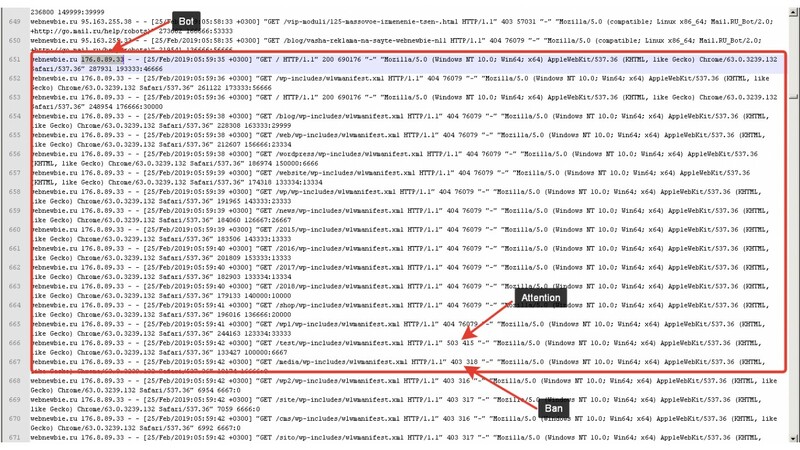 Improving the security of your website - block unwanted bots that slow down the site. 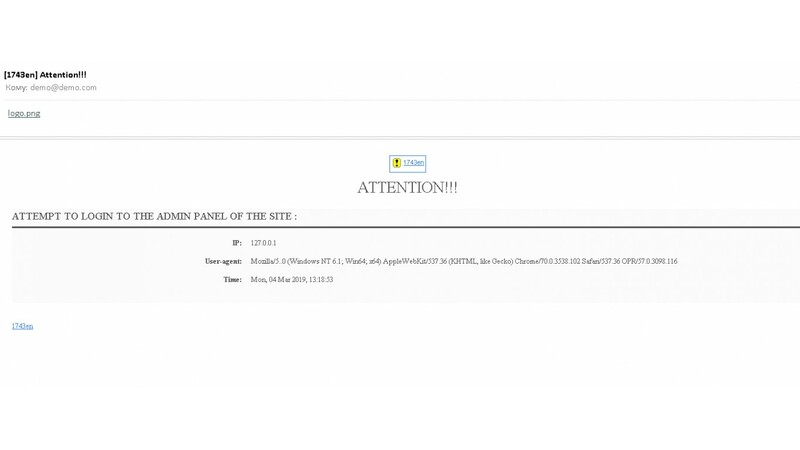 Standard installation - download the module archive via the administrator panel. 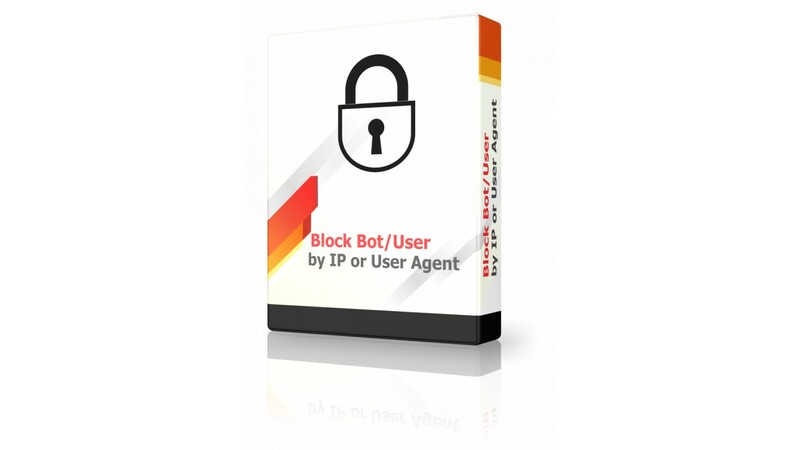 Added a new feature of automatic blocking of IP bot or user, which exceeded the set frequency of calls to the front office for a set period of time from one IP address. 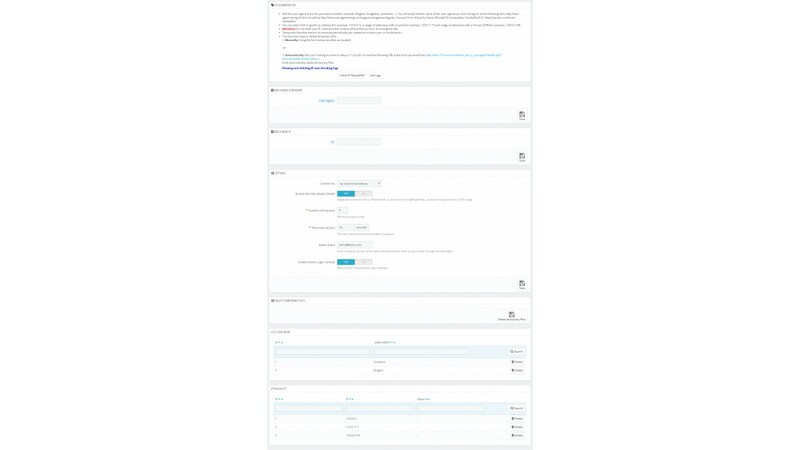 Protection against the selection of the administrator's login and password, after three unsuccessful attempts to enter the back office, the attacker's IP is automatically blocked. 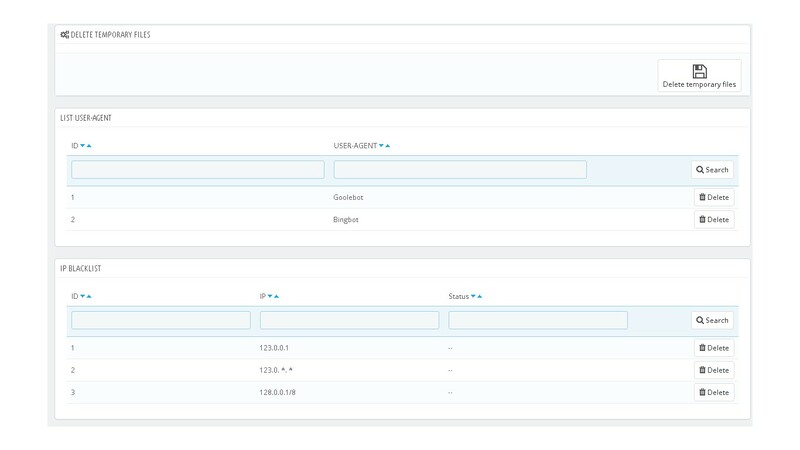 The name of the user agent that you want to add to the block list can be found in the cPanel site management under Users or apache log. Example, Mozilla/5.0 (compatible; Yandex / 3.0; +http://yandex.com/bots) is a Yandex Bot. Make 10 requests within 30 seconds and your IP will be automatically blocked. Using the User-agent extension for your browser, go to the website demo using the Bingbot user agent and get the lock. 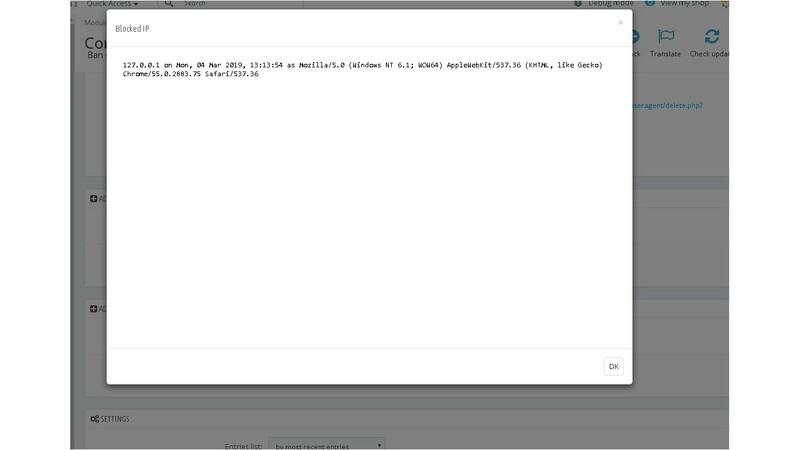 + Adding the Autolock option by IP when the frequency of the contact form is exceeded. + Adding the Autolock option by IP when the frequency of the front office is exceeded.